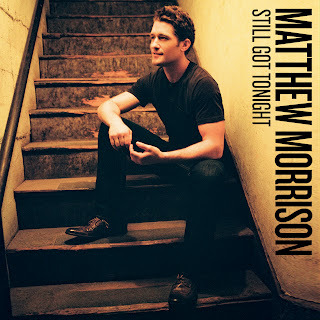 Matthew Morrison has released the song “Still Got Tonight” off his upcoming self-titled album, out May 10. See Matthew discuss the track here. “Still Got Tonight” is now available on iTunes. Keith: Bryan, what do you think of the homosexuality storylines that we’re having in more shows now? Fischer: Well I’m deeply concerned bout this because what these television programs are doing is glamorizing homosexual behavior, glamorizing homosexual conduct. This is conduct that carries enormous psychological and physical risks to those who engage in it. It’s just not a lifestyle, it’s not behavior that ought to be glamorized or presented in a way that makes it idealistic. Keith: And we all know about product placement. You throw a soda in a movie and within a few seconds later everyone in the theater is thirsty for that particular brand. Ray, what do you have to say to the people who say that this is propaganda, that this isn’t just storylines but the people have an agenda? Shortly thereafter, Fischer warns the FOX audience at home about all the gay men who contract AIDS. Here's full Glee cast version of Lady Gaga's "Born This Way" which will be featured in the upcoming 90-minute episode. Kurt and Mercedes on lead. Image above from this week's preview tease.